I have had the opportunity to interview Dorie Clark on several different occasions, and every time I emerge from the interview I feel that I have been given additional information that will help me be a better person and entrepreneur. “Entrepreneurial You” is a hands-on guide filled with new ideas, stories, and applications to launch any entrepreneur to new heights. 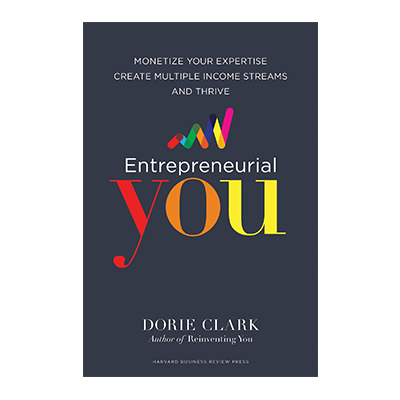 I hope you enjoy my interview with author Dorie Clark, if you want to learn more about her new book please click here to be taken to the book website, you can also download a free Entrepreneurial You Self-Assessment which will give you the blueprint for professional independence. Enjoy the podcast!